Lancaster EMS is a premier, nationally accredited ambulance service located in Lancaster County, Pennsylvania. Our diverse emergency response district serves over 260,000 residents in 21 municipalities encompassing urban, suburban, and rural portions of Lancaster County. Included within our primary response districts are numerous tourist attractions, industries, businesses, colleges and universities. As the busiest EMS provider in Lancaster County, Lancaster EMS answered over 37,800 requests for service in 2018 from our 11 ambulance station locations. We provide advanced life support (ALS), basic life support (BLS), quick response service (QRS), wheelchair van, paratransit, mental health sedan, and specialty transportation services. In addition to transportation services, Lancaster EMS offers medical standby coverage at sporting and mass gathering events, mobile integrated healthcare community paramedicine, and participation with the Lancaster County SERT team and South Central Task Force. Lancaster EMS, in partnership with the Pennsylvania College of Health Sciences, conducts Emergency Medical Technician (EMT) and Paramedic training programs. As an American Heart Association (AHA) Training Center, Lancaster EMS serves as a trainer and facilitator for many of the courses offered by the AHA for both healthcare providers and the general public. Through continual training in our educational institute, Lancaster EMS employees and volunteers are able to administer high quality, skillful pre-hospital care and transportation to those residents and visitors in our community. "Lancaster EMS came to my apartment following my 911 call. My eighteen month old son suffered a seizure. Lancaster EMS calmed me down and reassured me that things would be okay. Thank you for being kind, professional and taking control of the situation. It takes a very special someone to do the great job that you do! My son is doing well and I can’t thank you enough." "Our daughter came down from bed unable to breathe due to an asthma attack. You responded to our 911 call and were monitoring her health and giving us medical advice within minutes. Your presence, calm and in control, made us feel safe. We are grateful to have you in our community and relieved to know you respond so quickly." Lancaster EMS will respond to over 37,800 requests for service in 2019. Our highly-trained EMTs and Paramedics continually meet the needs of our residents that we proudly serve 24 hours each day. Signing up for a membership will save you money in case you need to be transported by ambulance or if you use our non-emergency transportation services. You'll also be supporting your local first responders! For more details on the benefits you will be entitled to as a member, or to sign up using our flyer or our online form, click here! "We would like to express our heartfelt thanks for the phenomenal care you provided that helped my husband survive a heart attack. He is doing miraculously well and for that we are extremely grateful! Keep up the great work! You are all amazing!" "Just a note to thank you for saving my life. I had a heart attack; a real bad one. I didn’t know what was happening other than the terrible pain in my chest. My son called 911 for an ambulance and you were here in a short time. After three days in the hospital, I am back home again doing fine." Congratulations to our Lancaster EMS Staff for being a big part of this prestigious achievement! 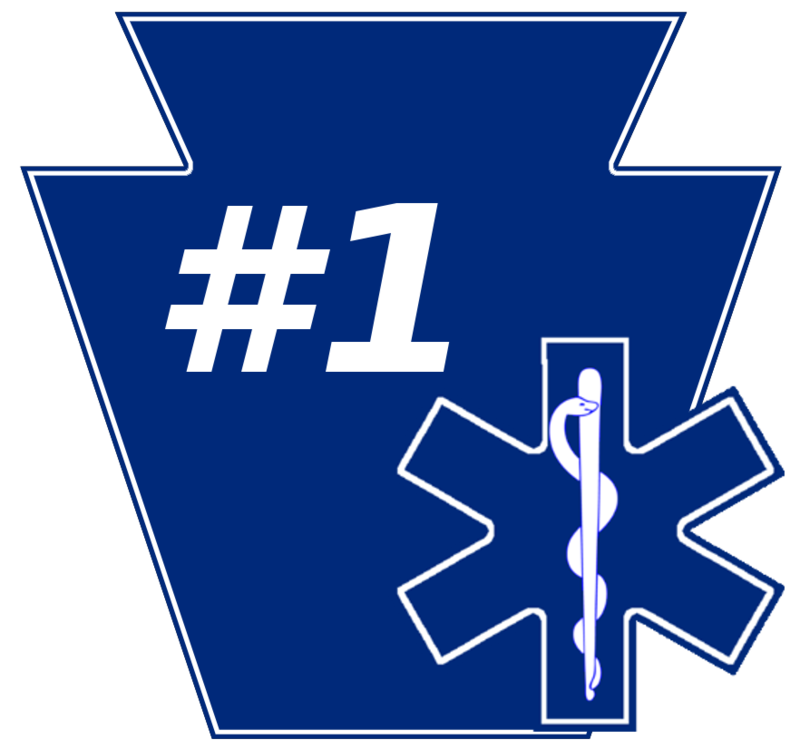 Each year, the Pennsylvania Department of Health, Bureau of Emergency Medical Services, with the assistance of the Pennsylvania Emergency Health Services Council (PEHSC) recognizes individuals, groups, and organizations that have made a significant contribution to Pennsylvania’s EMS System. This award honors a Pennsylvania EMS agency for its contribution to the development and growth of quality pre-hospital care within their community, while complying with the rules and regulations of the Commonwealth of Pennsylvania.